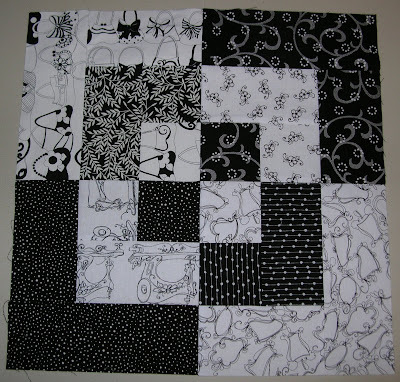 D9P or disappearing nine patch quilts are everywhere on the Internet lately. I now understand why. This pattern is so fast, simple, and effective. I am sure if you make one, you will find yourself making a second, and a third, and….. 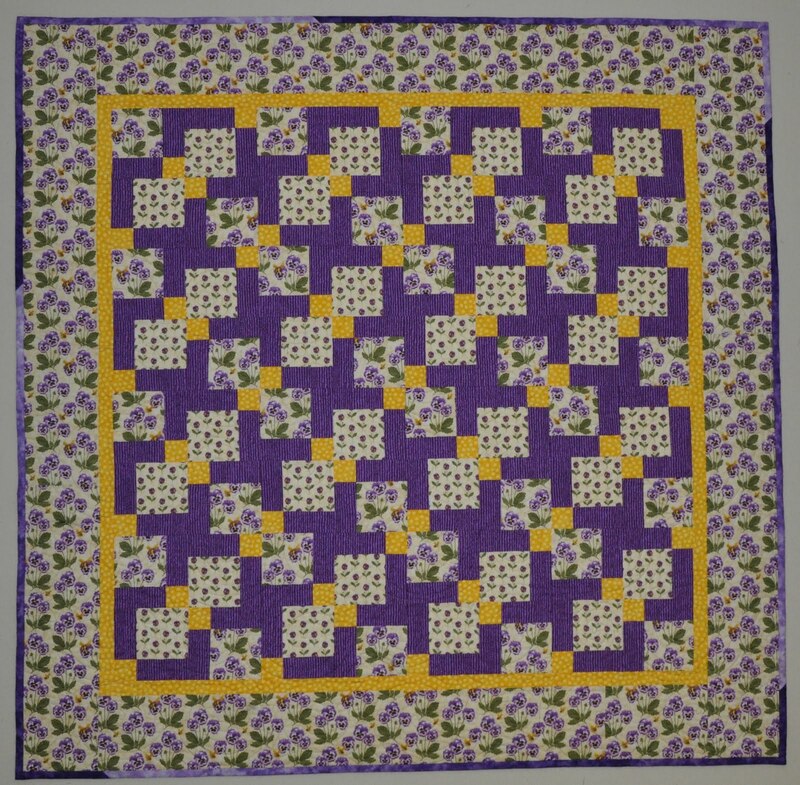 This is my first D9P–made from pansy fabric that I purchased in the spring when my Mom, my Aunt, and I headed to Oregon on our road trip. I wasn’t sure how big this was going to end up when I started. 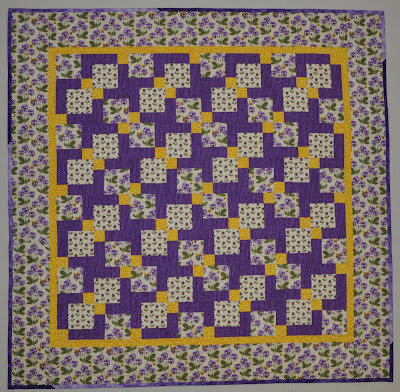 In fact I kept making blocks until I ran out of the 1 yard cut of the purple fabric that I bought. This is the second D9P that I made–this one is made from some smaller pieces of Christmas fabrics in my stash. This is a much smaller piece, perfect for a table topper. I didn’t have enough of one print for all four borders so I did two borders out of one of the prints and two borders out of the second print. Both of my quilts are still flimsies and have been added to the “to be quilted” pile. Tonight was my Monday night quilting group. We meet every Monday night at Leslie’s house. This is the D9P that Leslie made after seeing my purple/pansy D9P two weeks ago. Leslie’s quilt has already been sandwiched for quilting. 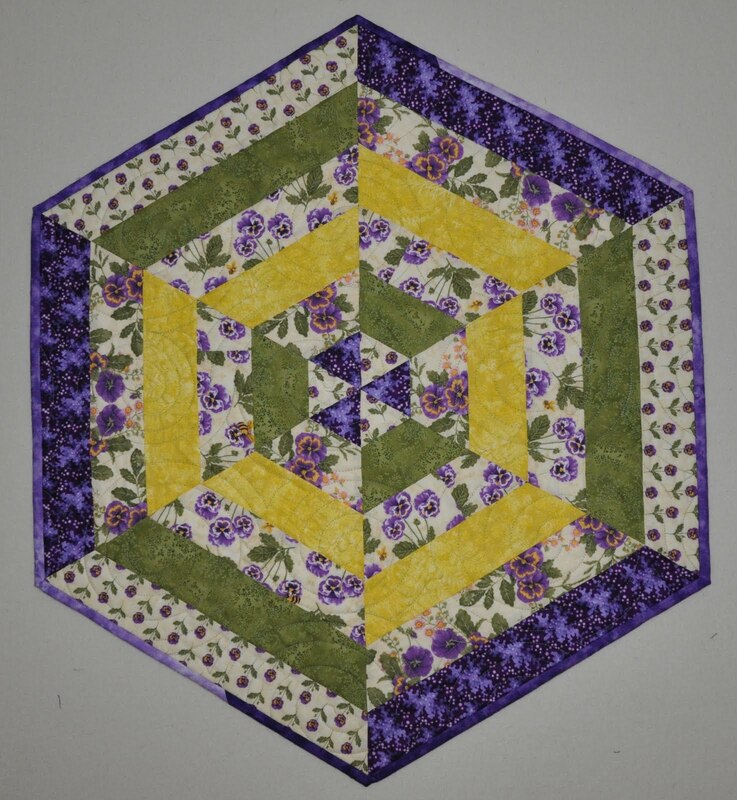 Leslie loves Thimbleberries fabrics and has made her D9P from Thimbleberries fat quarters. 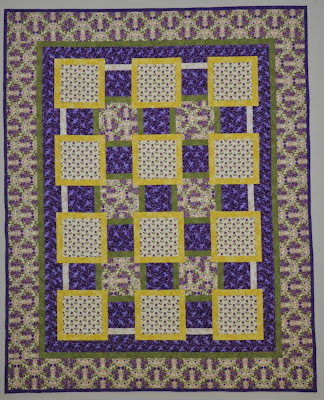 Leslie liked this pattern so much, she started a second quilt right away. 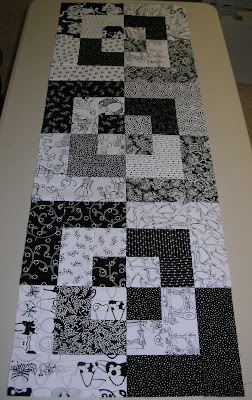 This is a picture of the blocks for Leslie’s second D9P. 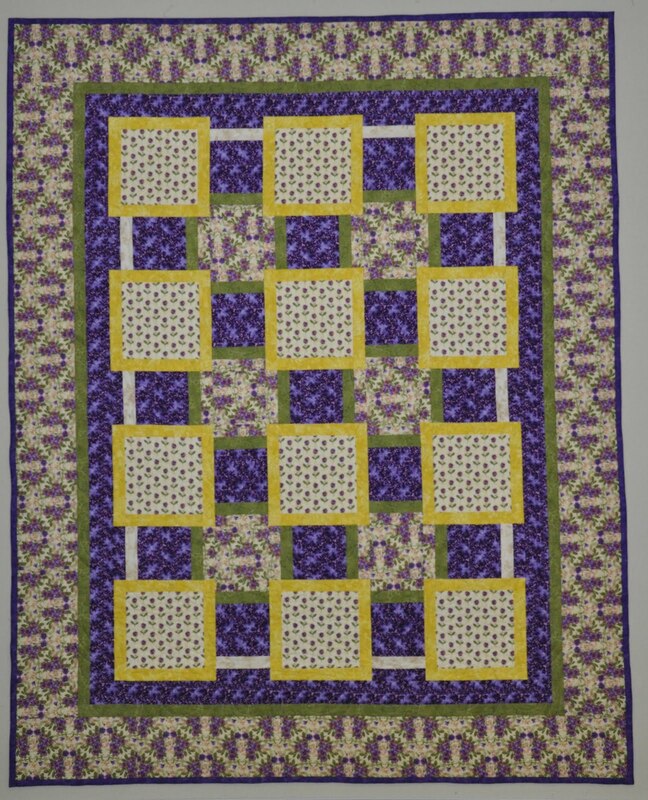 This second quilt will be made from Thimbleberries fat quarters as well. Leslie says this one is going to be twice the size of the last one. This is what the squares look like once they have been rearranged. I just love the dark blue centers on this one. Wendy has also made a D9P. The night that Wendy brought her quilt for show and tell, I didn’t have my camera. It is wonderful how quilters can inspire one another. Before you know it we have all taken off like wildfire!